Michael Jordan Nissan is proud to partner with The Blood Connection for an on-site blood drive on Friday December 14th from 2:00 pm to 6:00 pm. This is a great opportunity to give back to our community this holiday season! Someone needs a blood transfusion every two seconds, and one in ten patients entering a hospital will need blood. Over 500 people need to donate every day to meet the daily needs of the hospitals we serve and be prepared for emergencies. 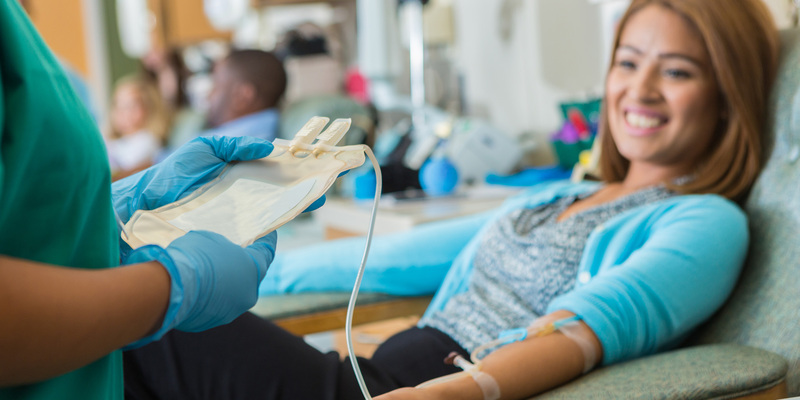 In order to collect the units needed, The Blood Connection must screen between 550-600 people a day for blood, platelet, plasma and double red cell units. Blood is good for only 42 days, so donors are needed every day to ensure a stable blood supply. When You Give Blood - Get a Gift From Us! Michael Jordan Nissan wants to thank you! To make your oil change appointment during this time, please call Michael Jordan Nissan at 919-433-1755 and mention you're going to be a blood donor! PLUS - for every pint of blood collected, The Blood Connection and Michael Jordan Nissan will donate $10 each to the Durham Rescue Mission! The Durham Rescue Mission is Durham, NC's oldest and largest long-term shelter, they currently serve 400 men, women and children a day, 365 days a year throughout the Triangle by providing safe shelter, addiction recovery programs and much more. We are looking forward to coming together as a community for this worthy cause. We can't wait to see you!